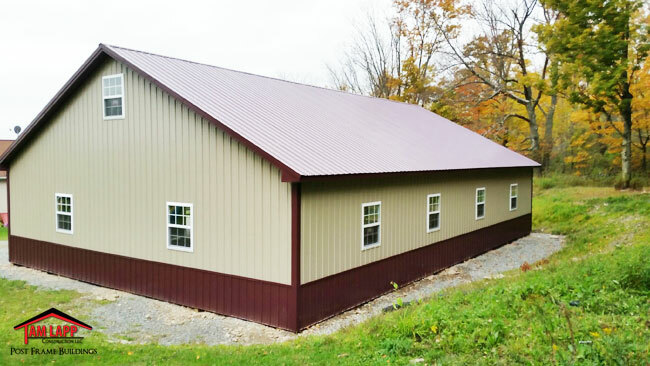 Trusses: Clear Span 6 PITCH ATTIC – 3/4″ Floor– 3′ L SHAPE STAIRWAY. Misc. Siding: 3′ High Wainscot around bottom of building. 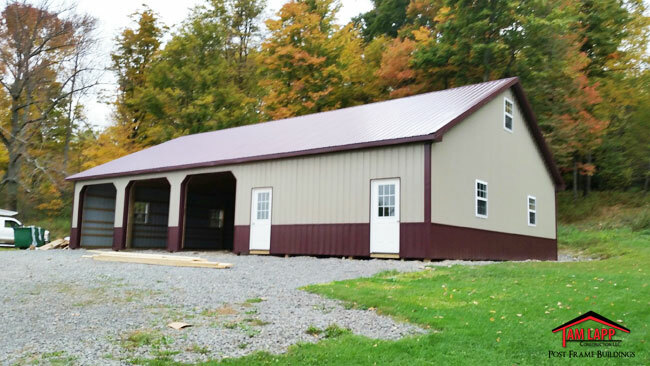 Roof Overhangs: Overhang boxed-in w/ vented soffit & fascia trim: 12″ Sidewalls, 12″ Gable Ends. Entry Doors: 2- 3′ 9 LITE. Windows: (9) 36″ x 44″ Insulated w/grids & screen. / 2 each end of attic. 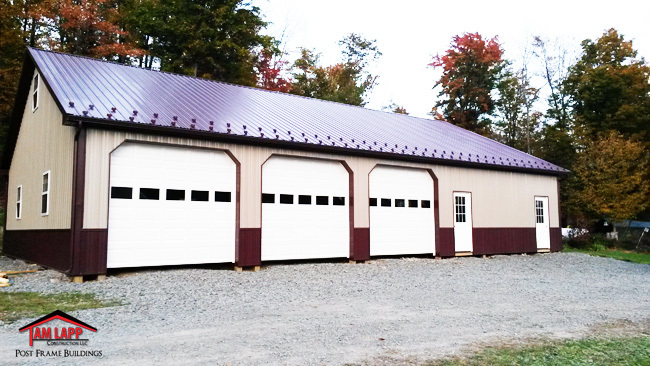 Garage Doors: (3) 10’W x 9’H with DUTCH CORNERS. Colors: Burgundy Roof, Wainscot & Trim.